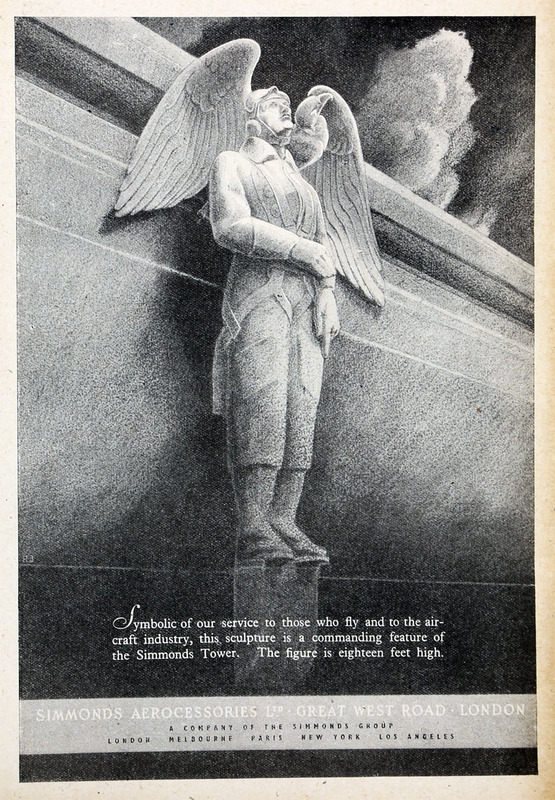 April 1943. 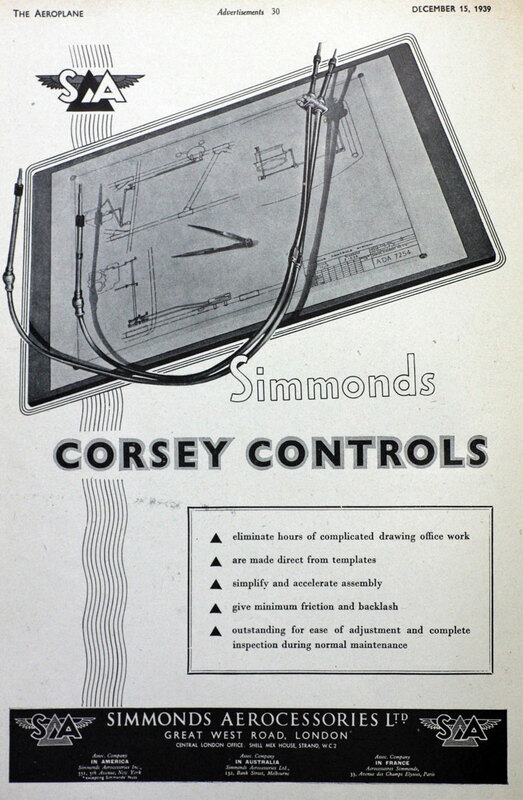 Simmonds Corsey Controls. 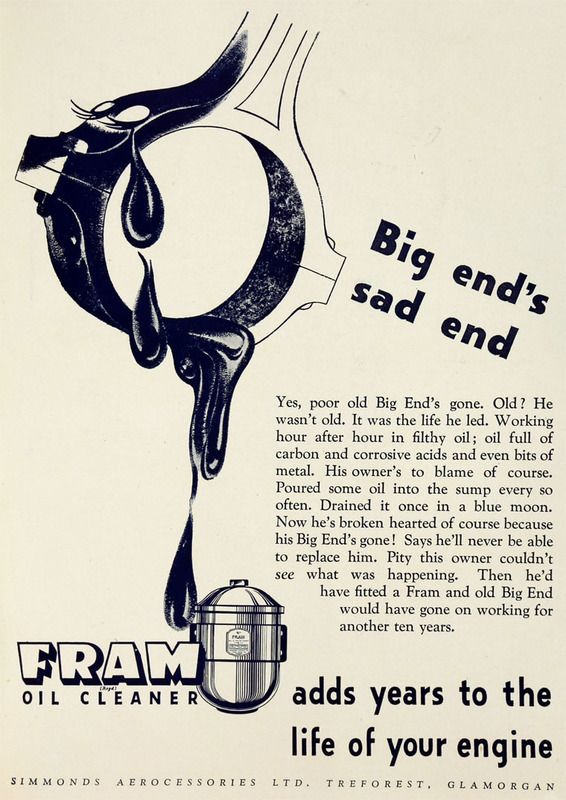 of Shell-Mex House, Strand, London, WC2. 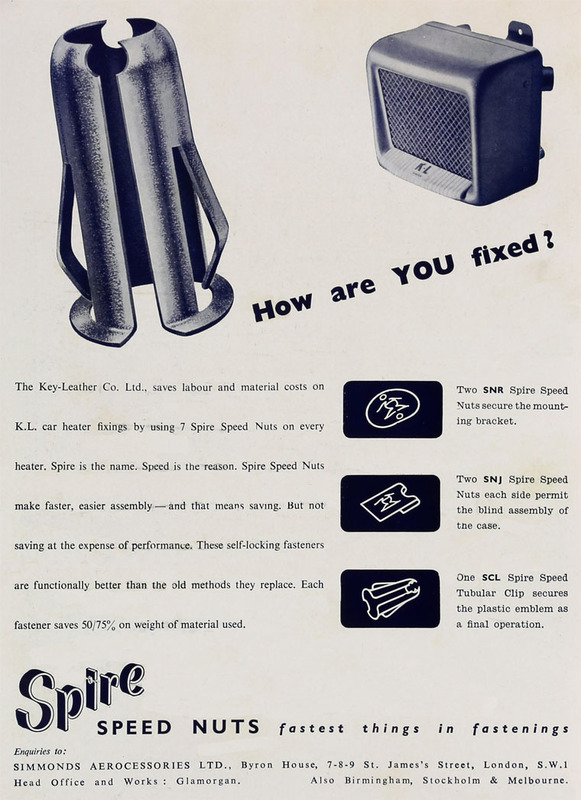 Telephone: Temple bar 2373. 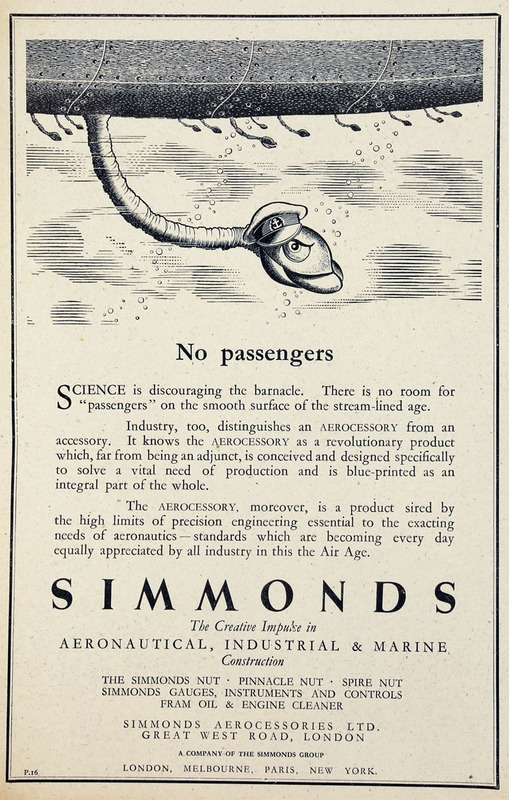 Telegraphic Address: "Aerocessim, London". 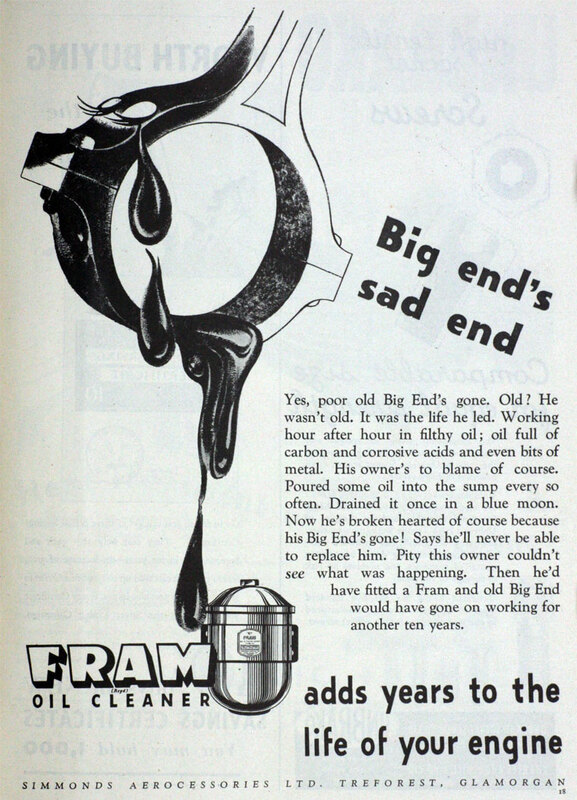 of Treforest, Wales - site of factory. 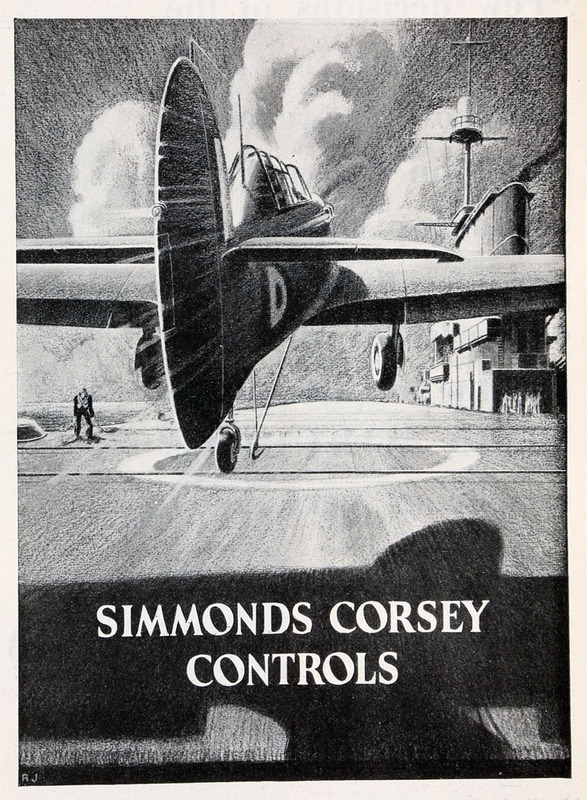 1928 The Simmonds Aircraft Company Limited was formed in order to produce Oliver Simmonds' Simmonds Spartan aircraft in Hampshire. 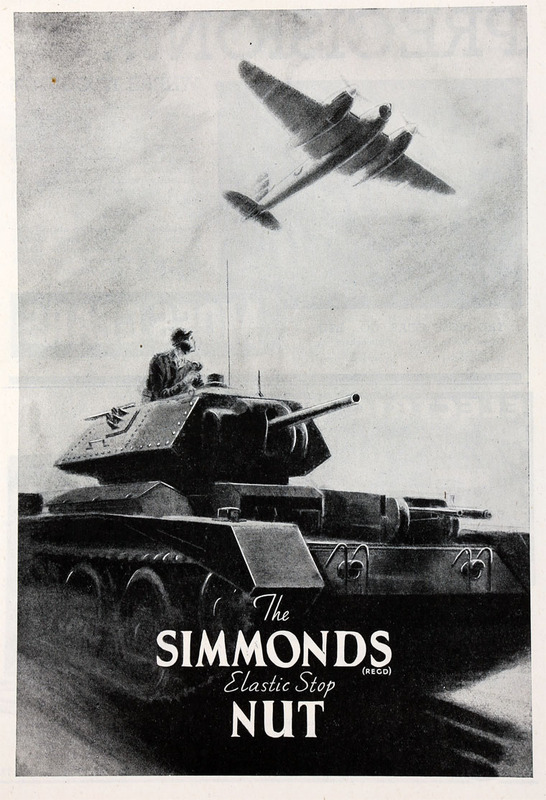 For a full history see Oliver Simmonds. 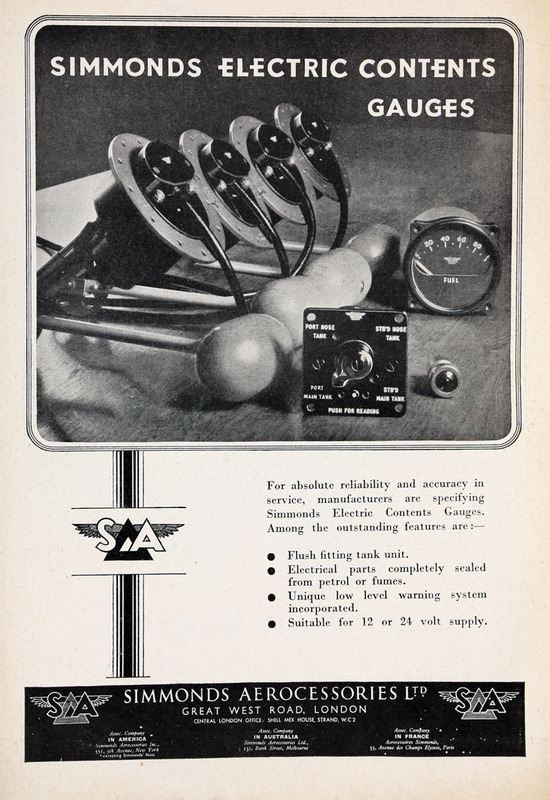 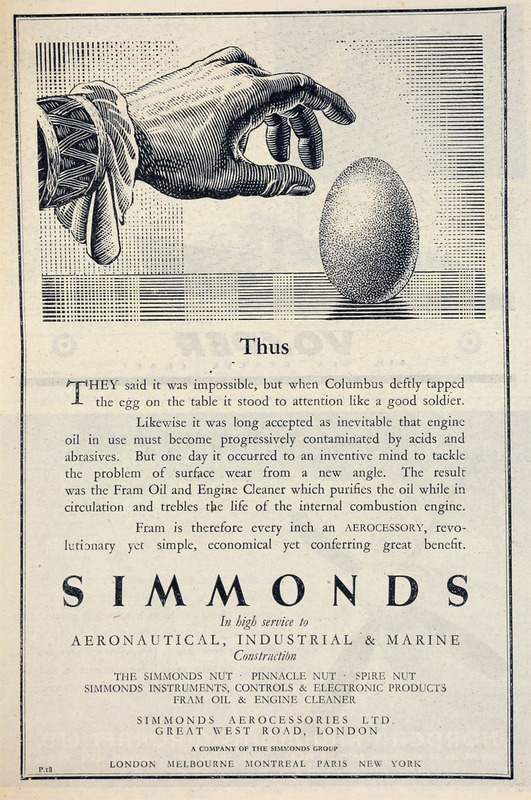 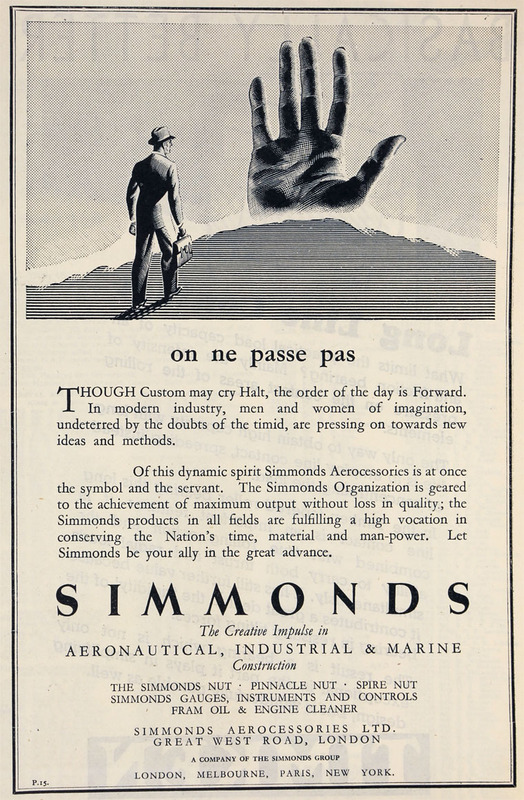 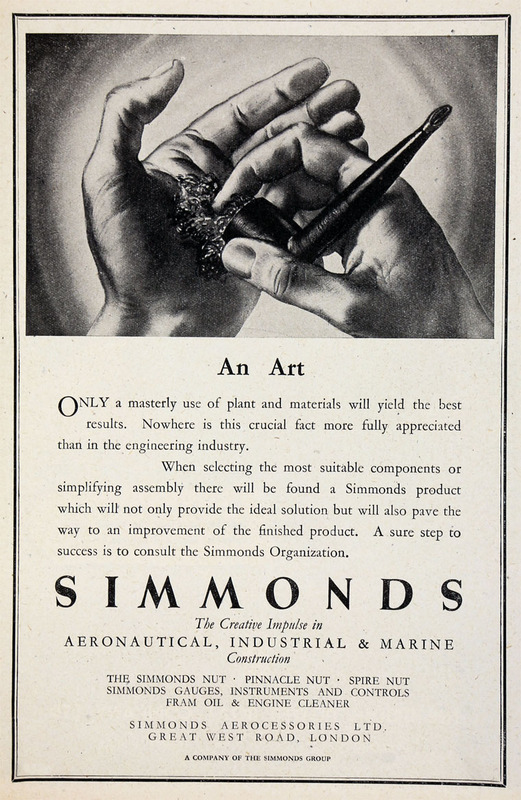 1931 Oliver Simmonds visited the Paris Air Show and obtained a license for push-pull controls for the rest of the world. 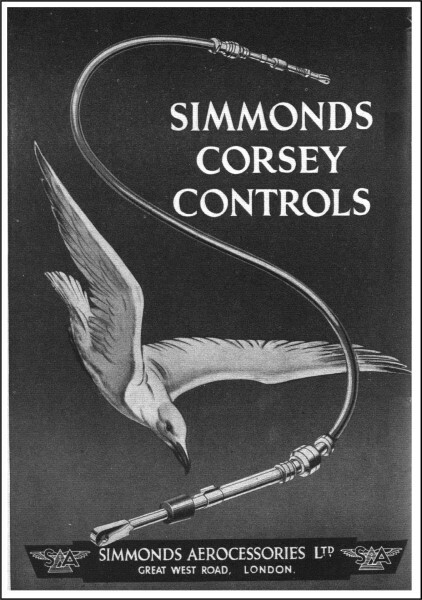 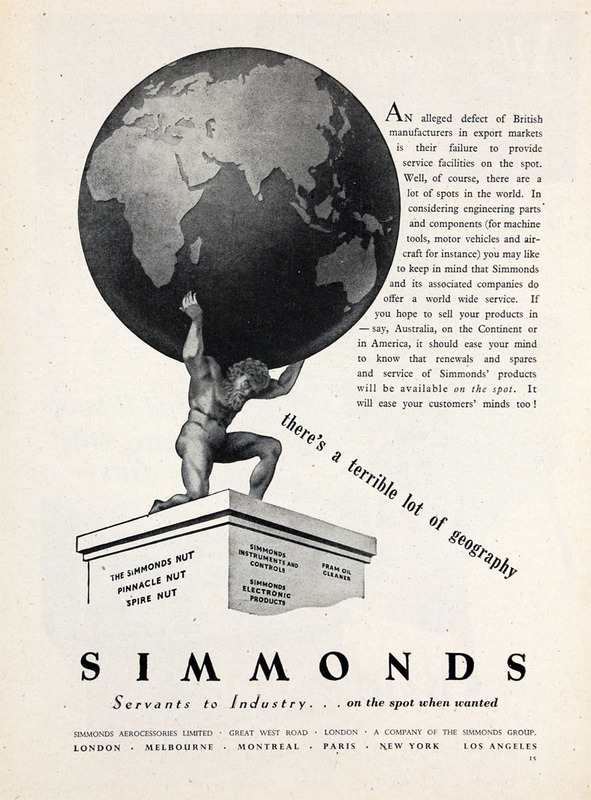 On return to the UK he formed Simmonds Aerocessories Ltd, and established a sub-contract manufacturer for the product in Birmingham. 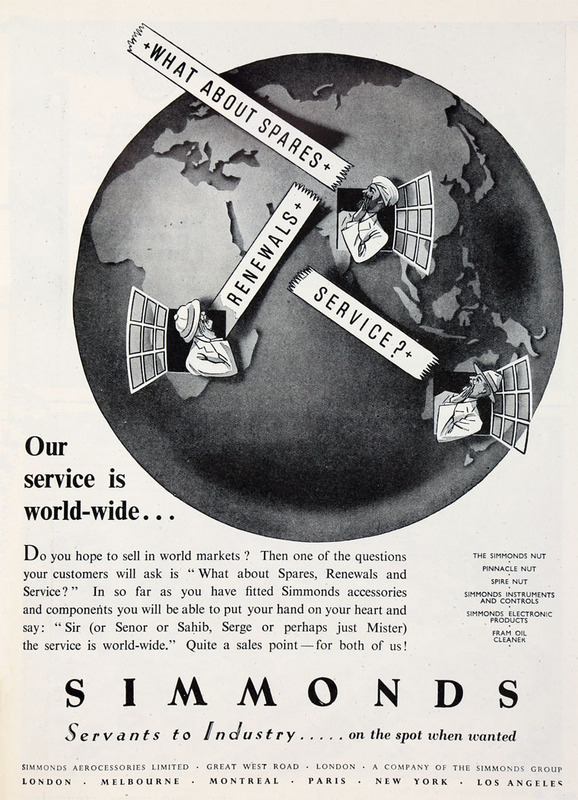 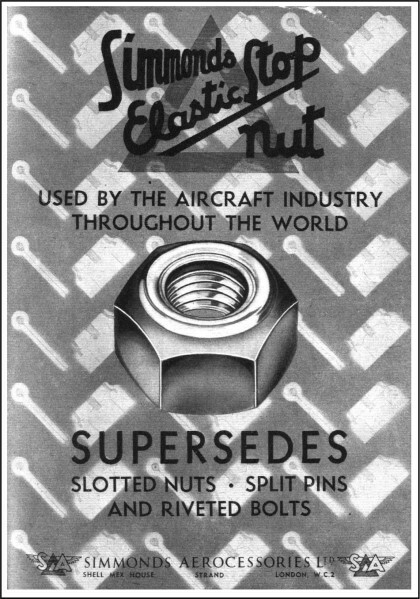 1952 Simmonds Aerocessories, a private company, purchased 90% of the ordinary shares in Firth Cleveland Ltd; name changed to Firland Metals. 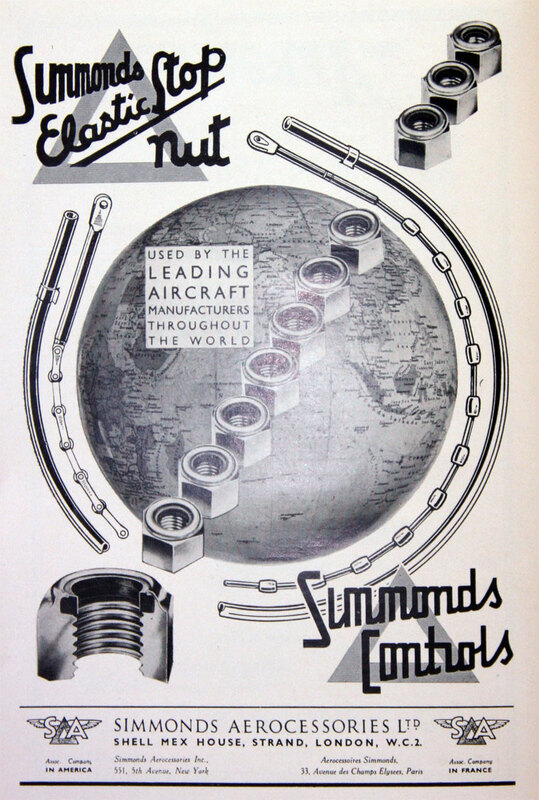 1953 Firth Cleveland was formed as a private company which owned Simmonds Aerocessories. 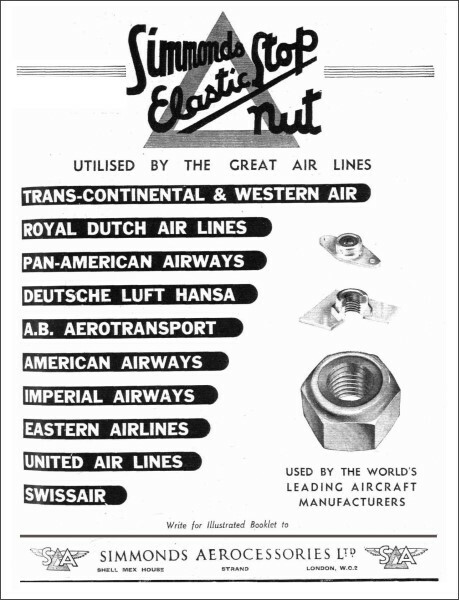 1955 One of the most important suppliers of accessories to the aircraft, motor, chemical and other industries - products included world famous fastenings, instruments, filters. 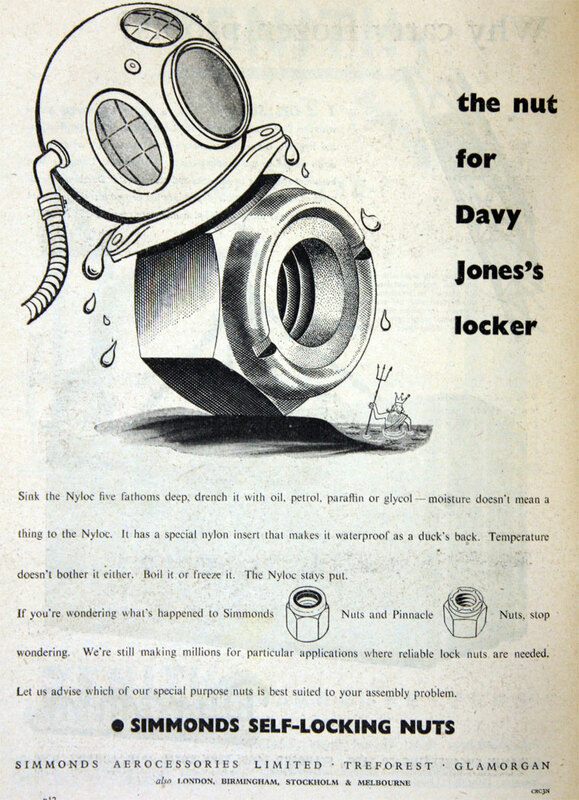 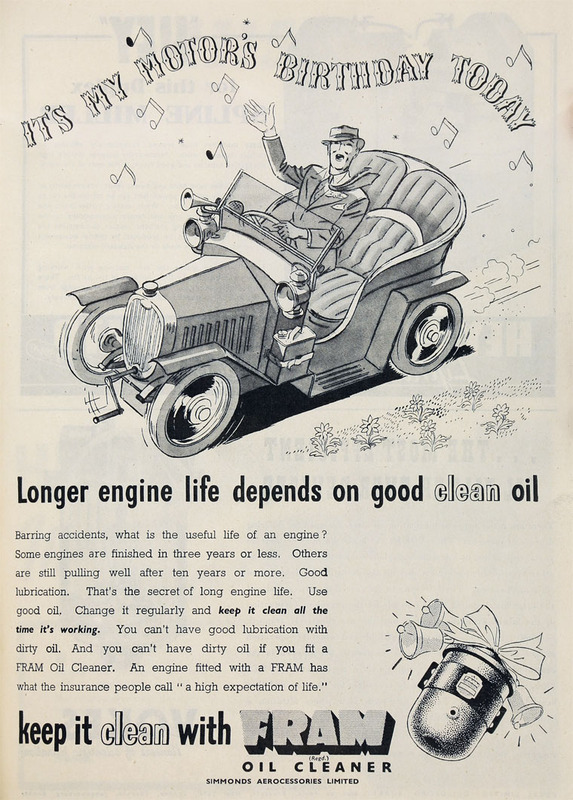 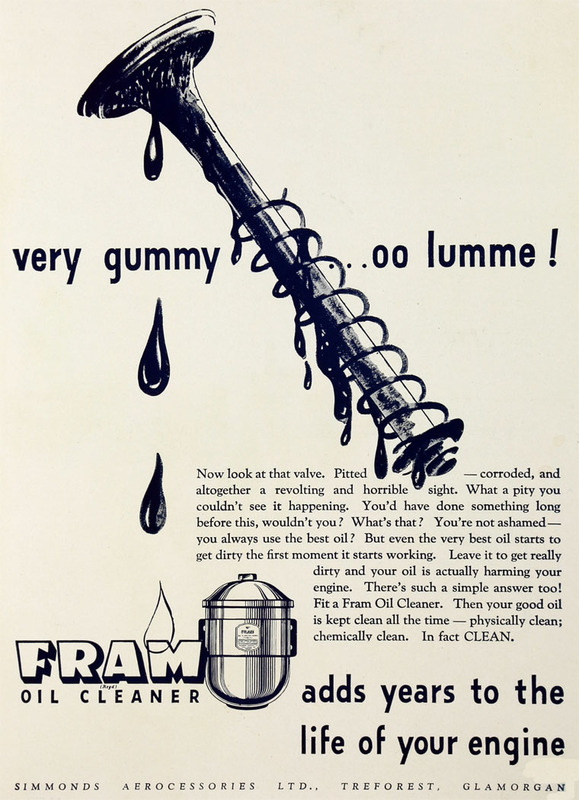 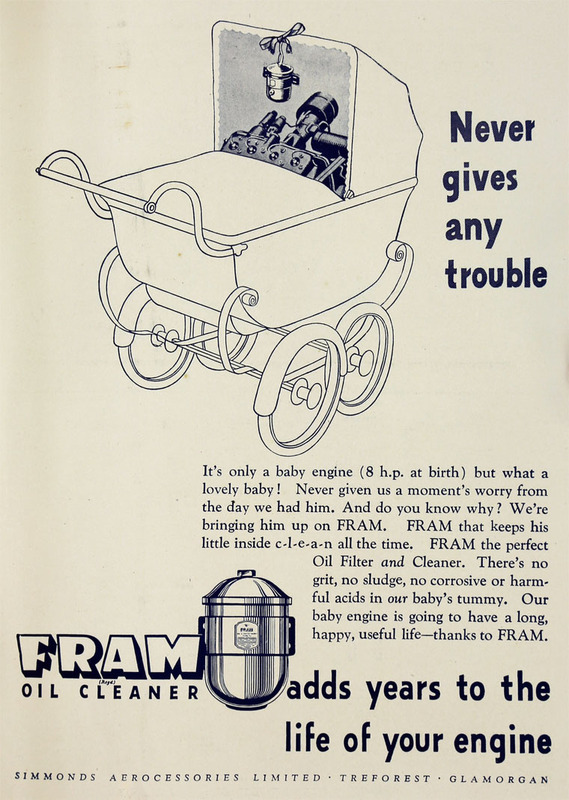 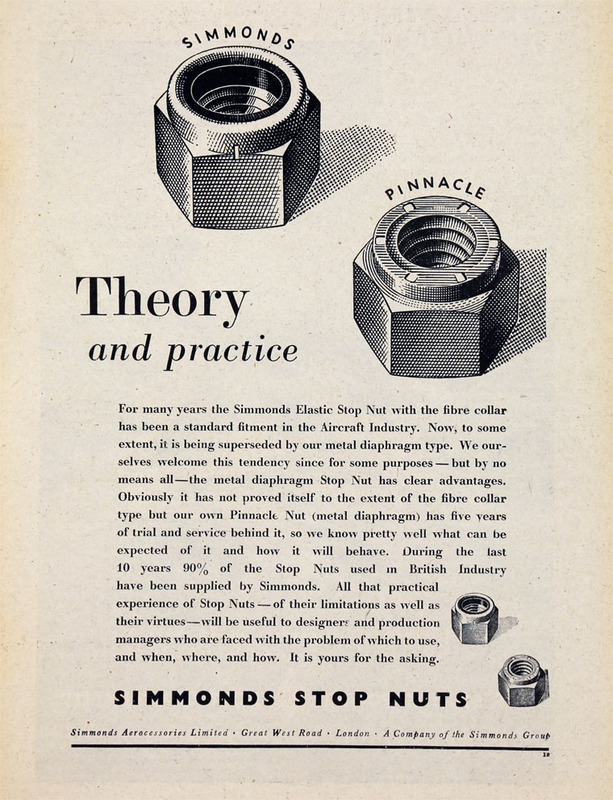 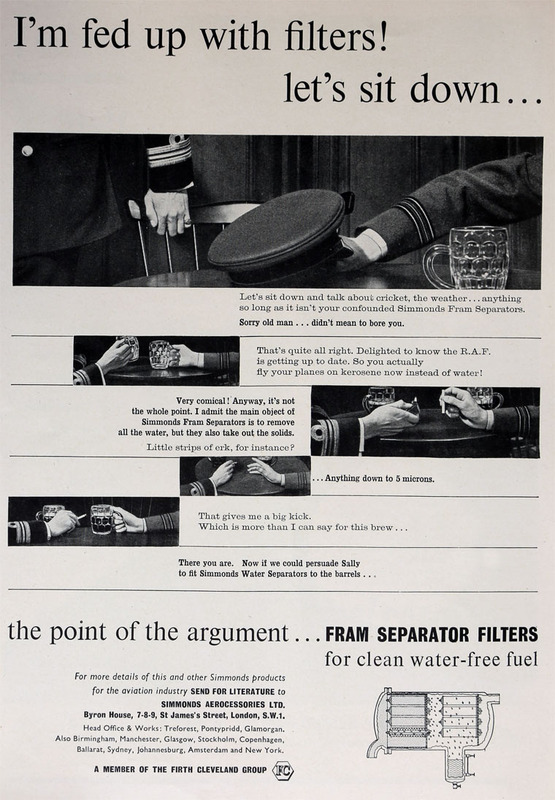 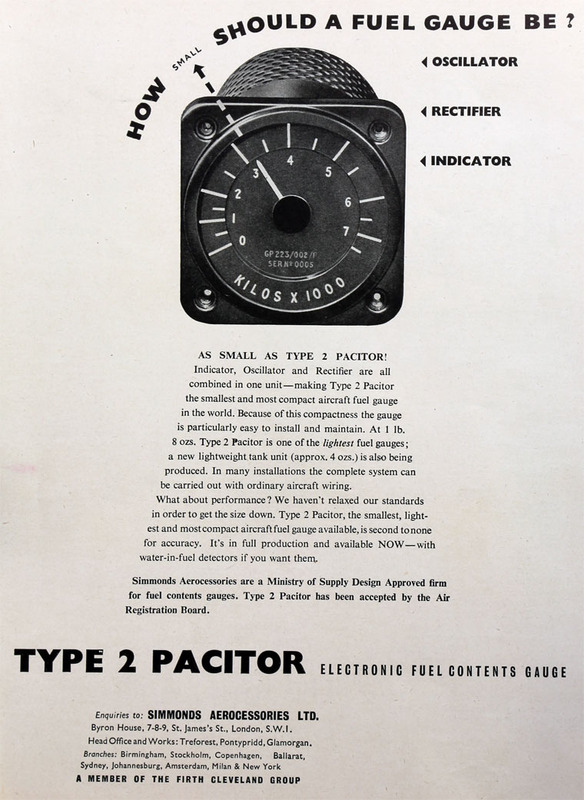 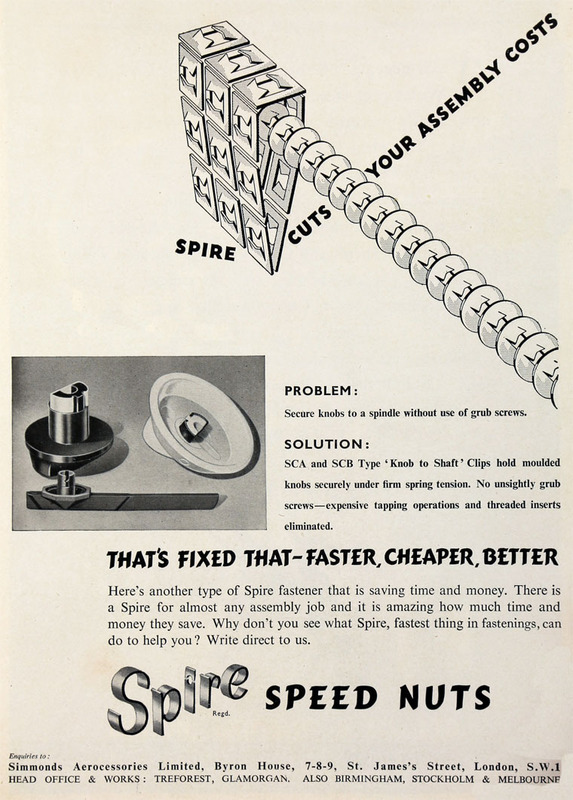 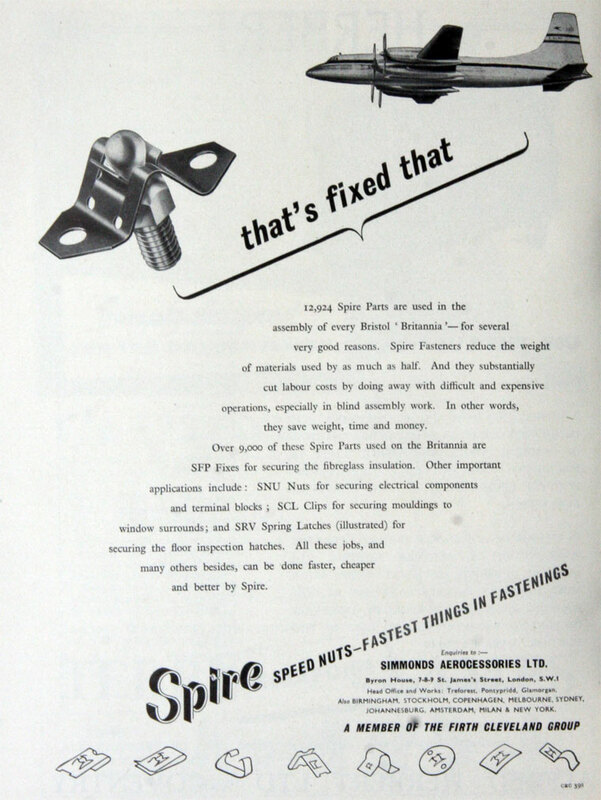 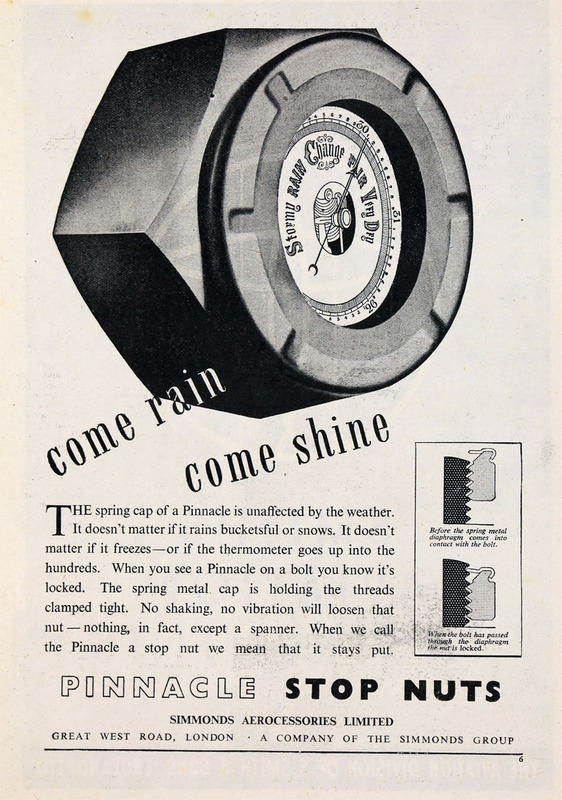 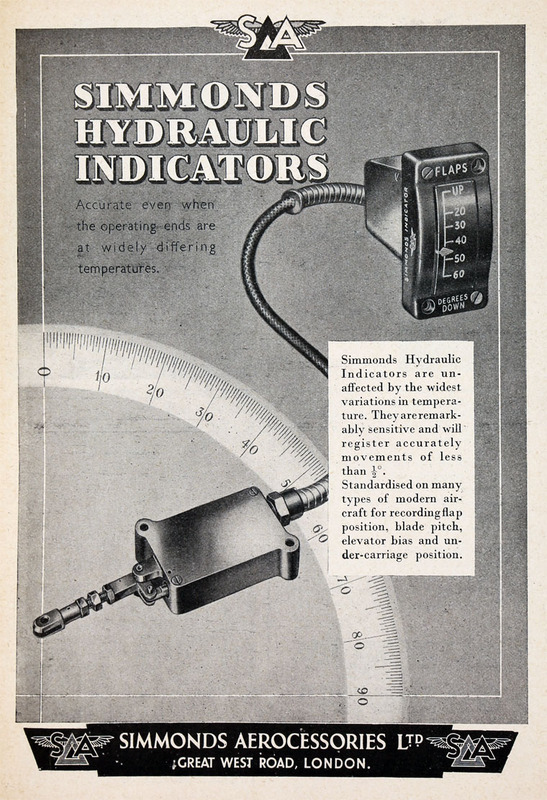 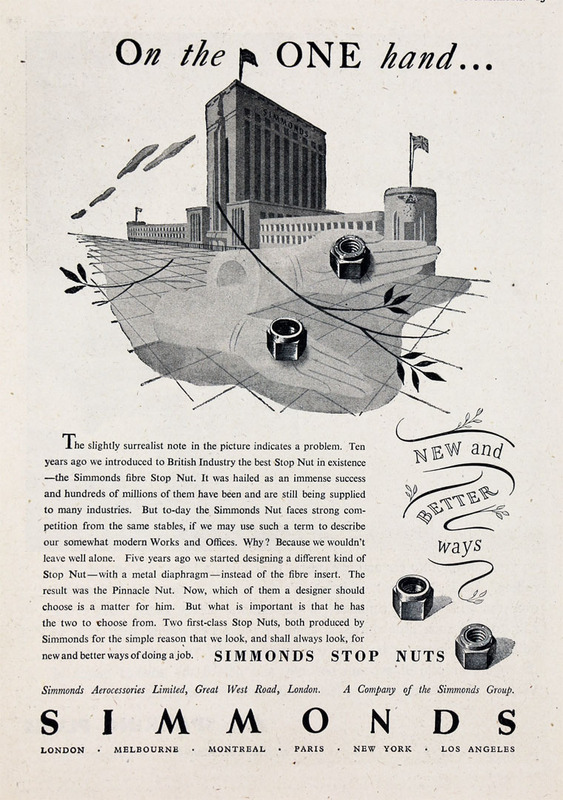 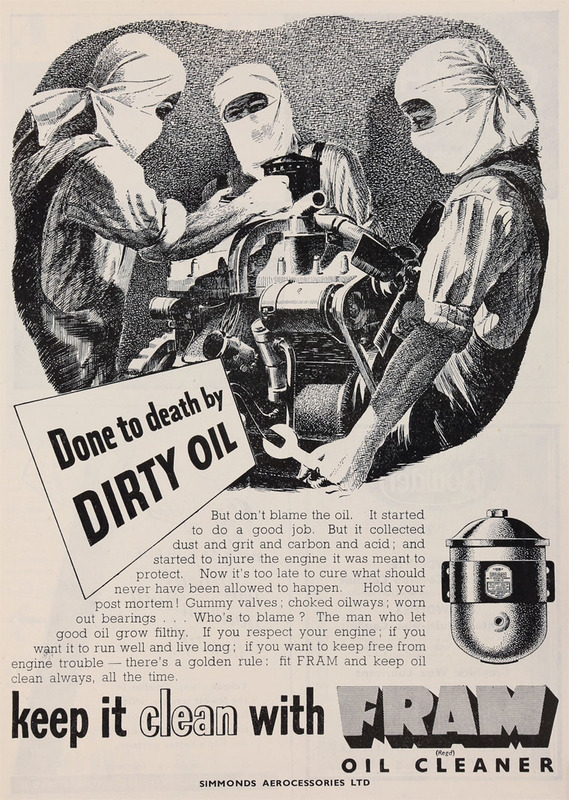 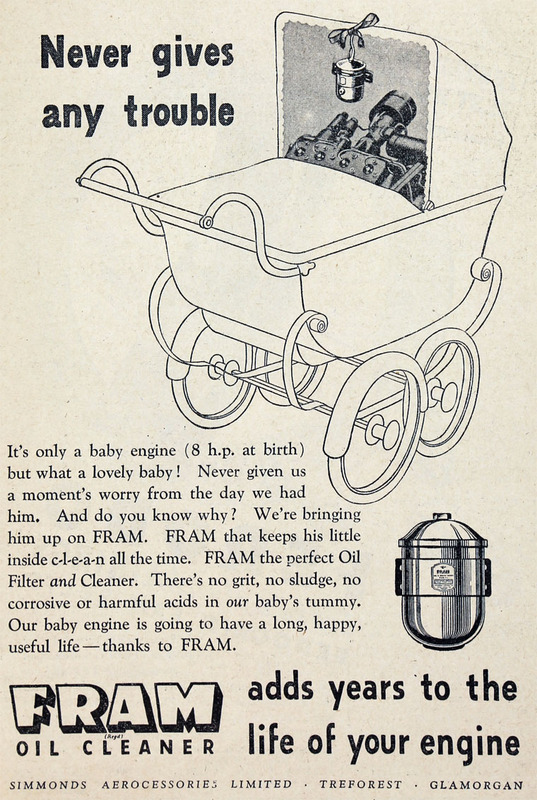 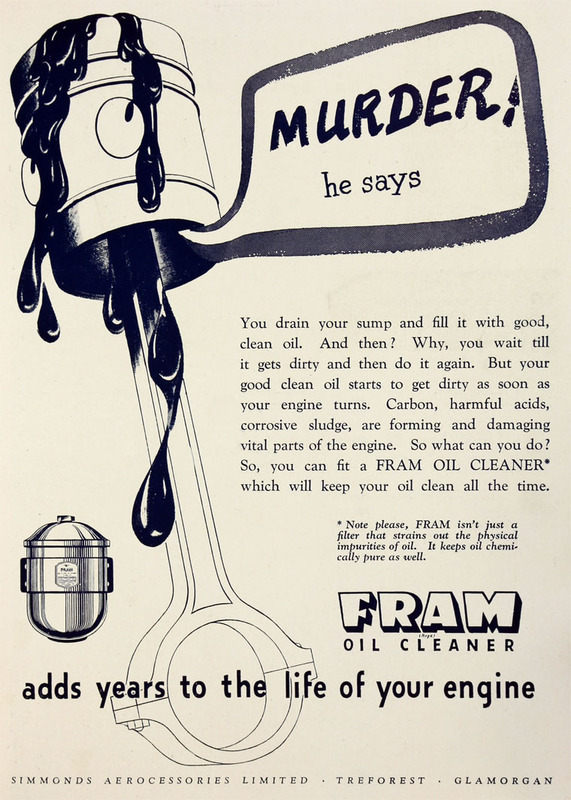 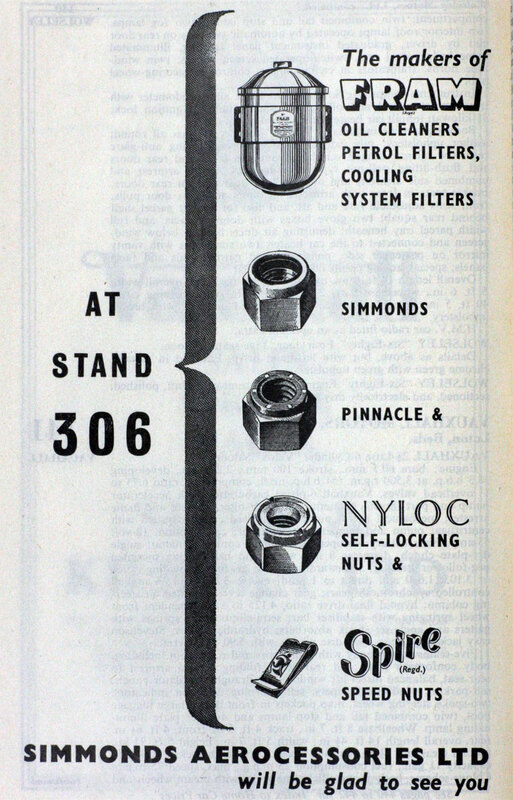 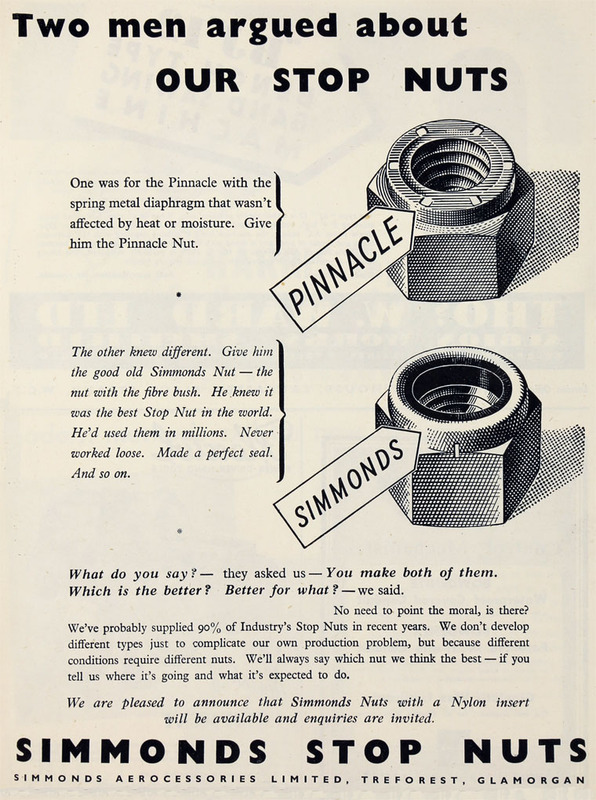 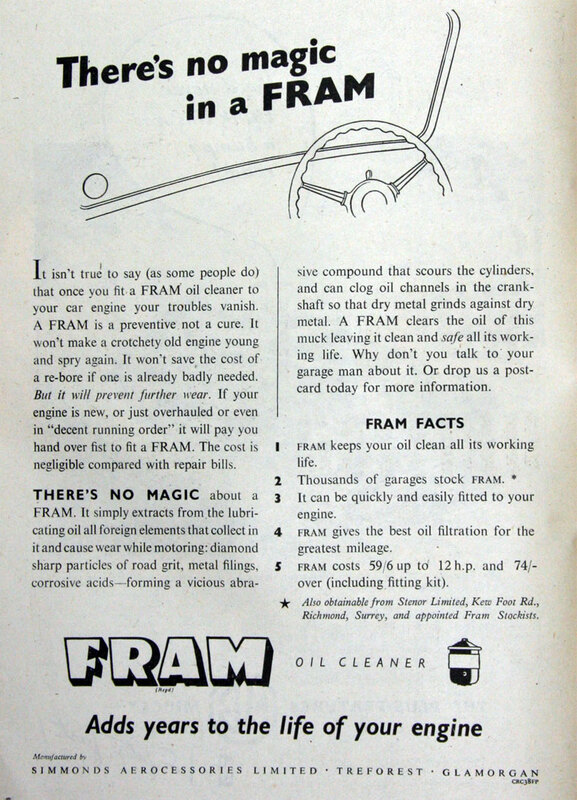 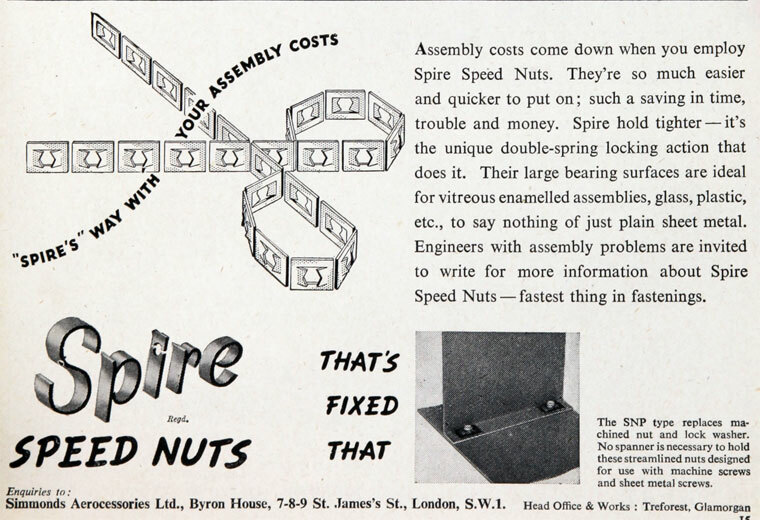 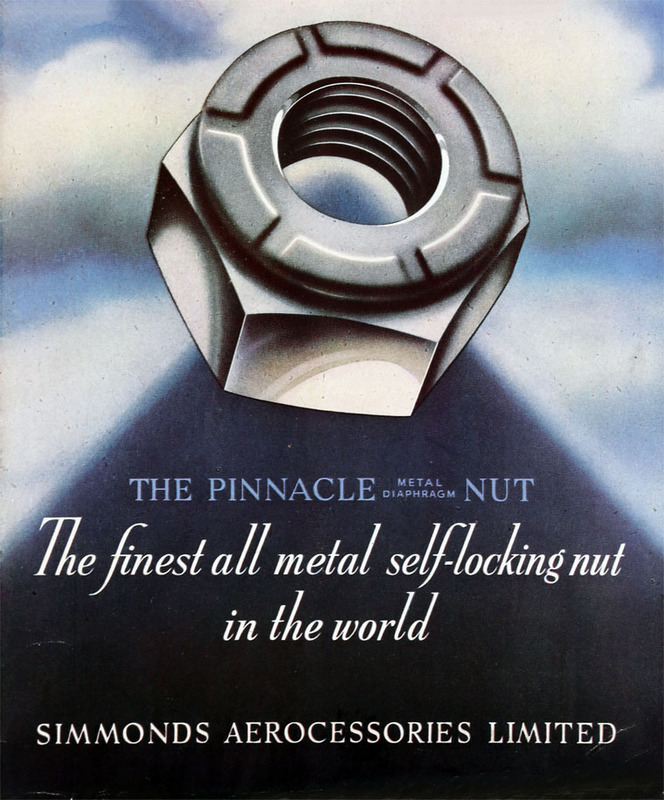 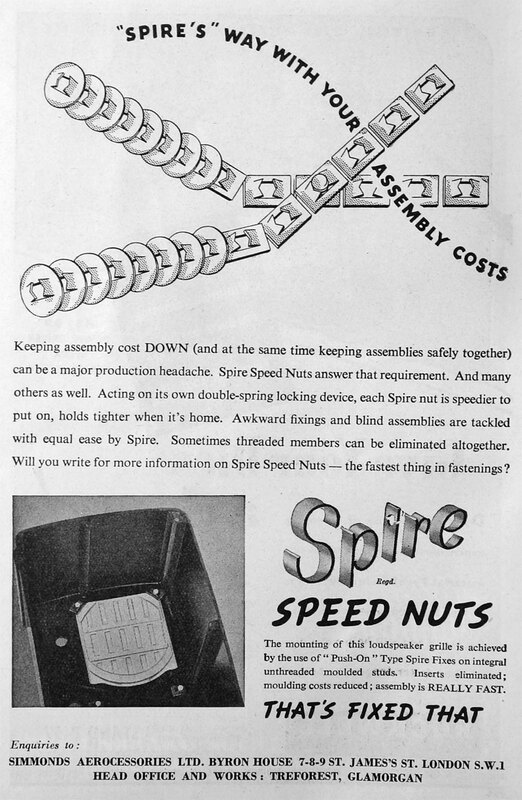 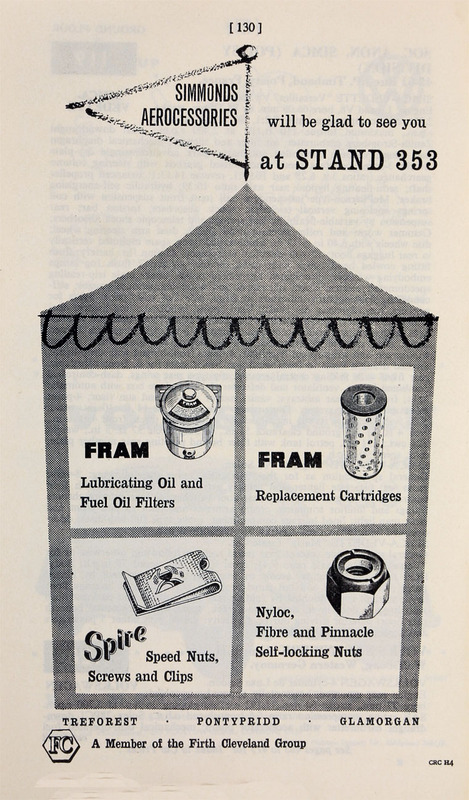 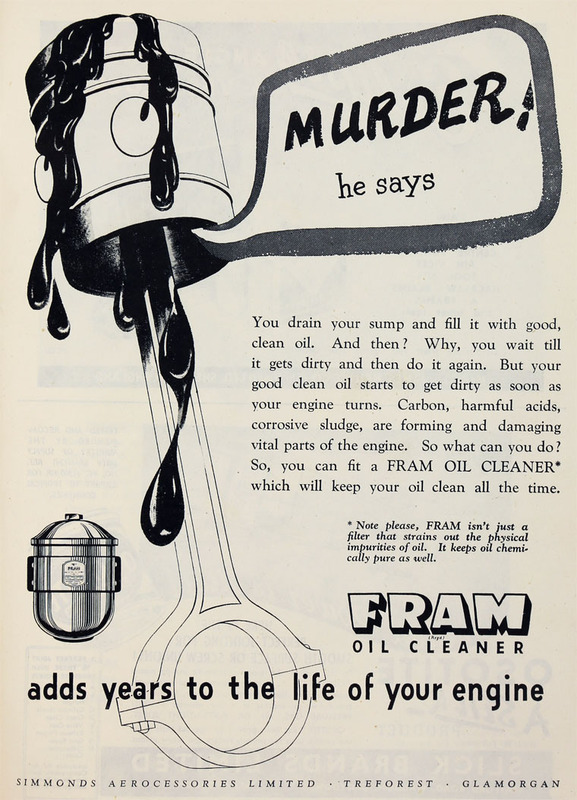 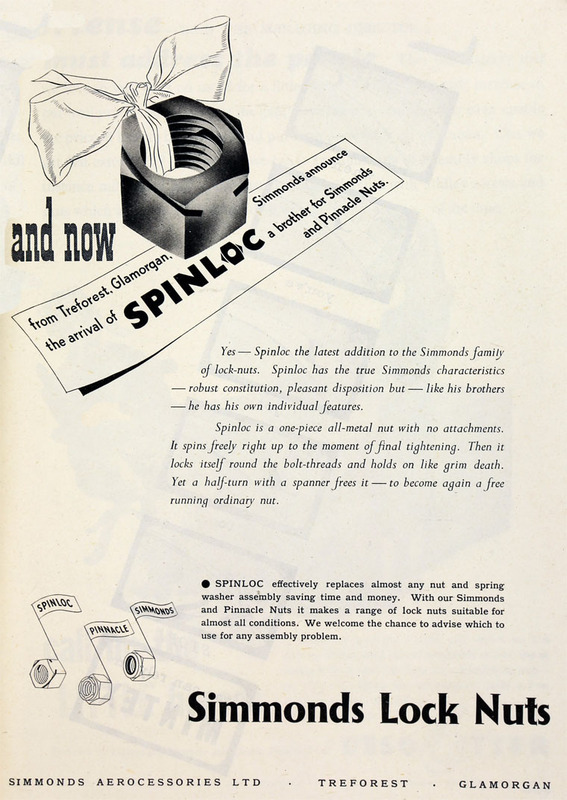 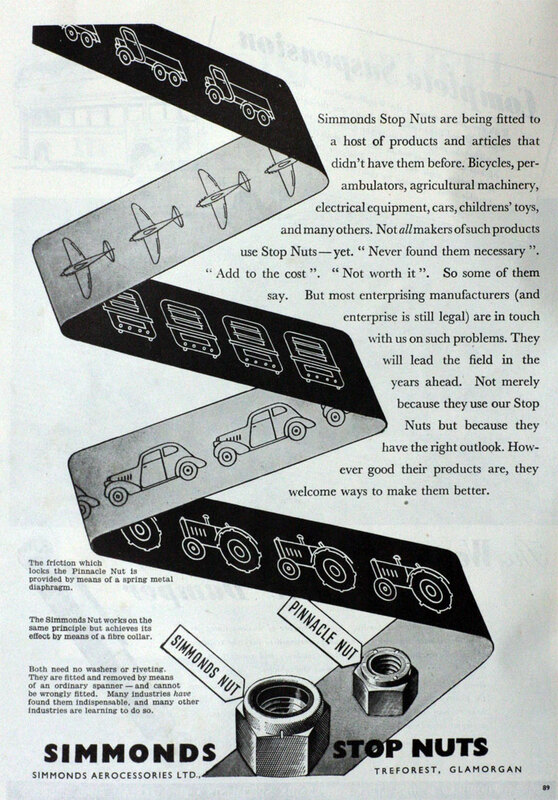 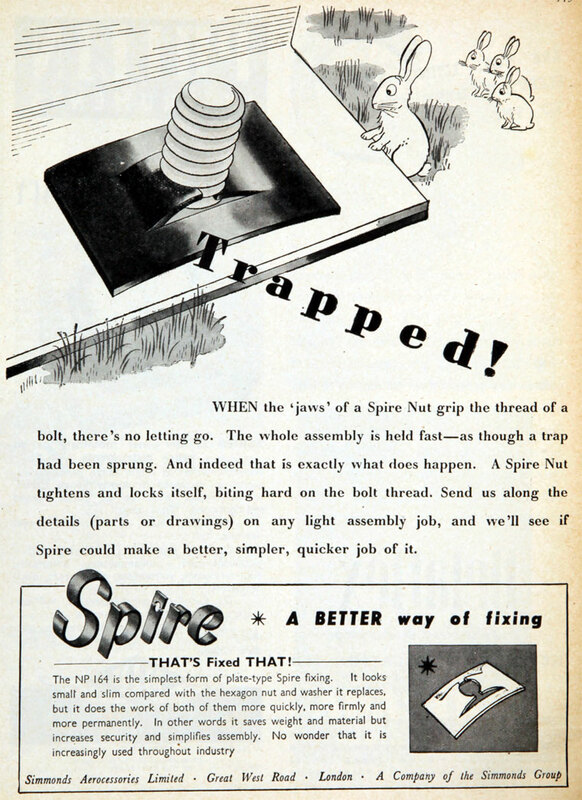 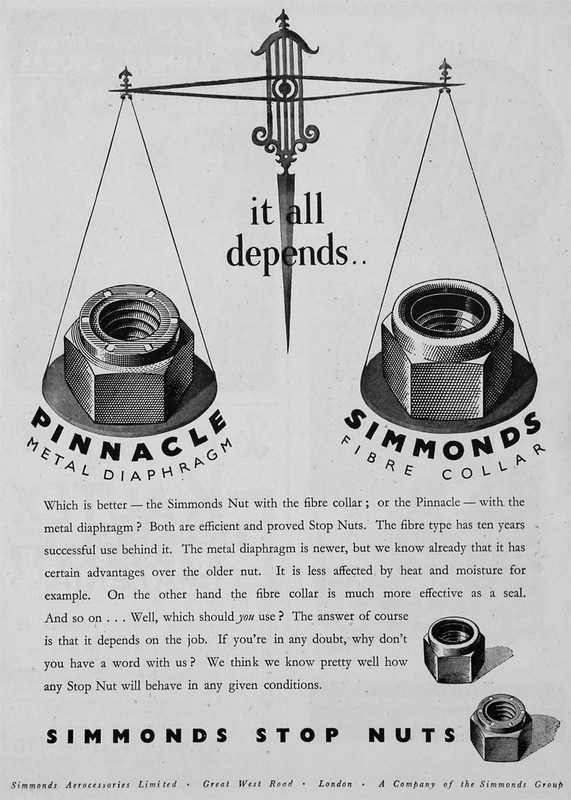 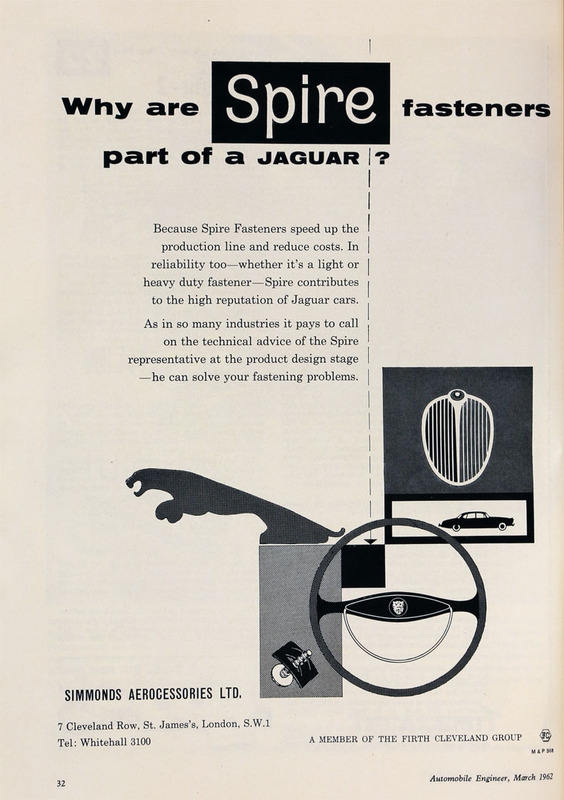 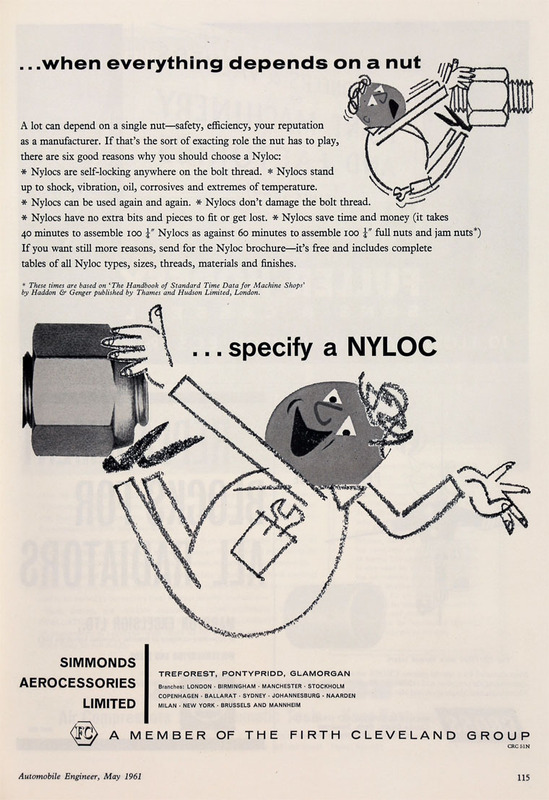 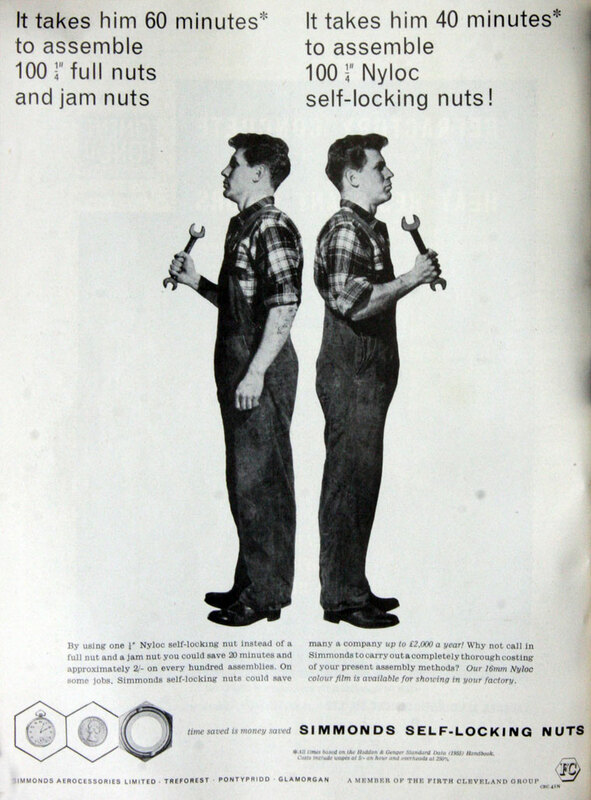 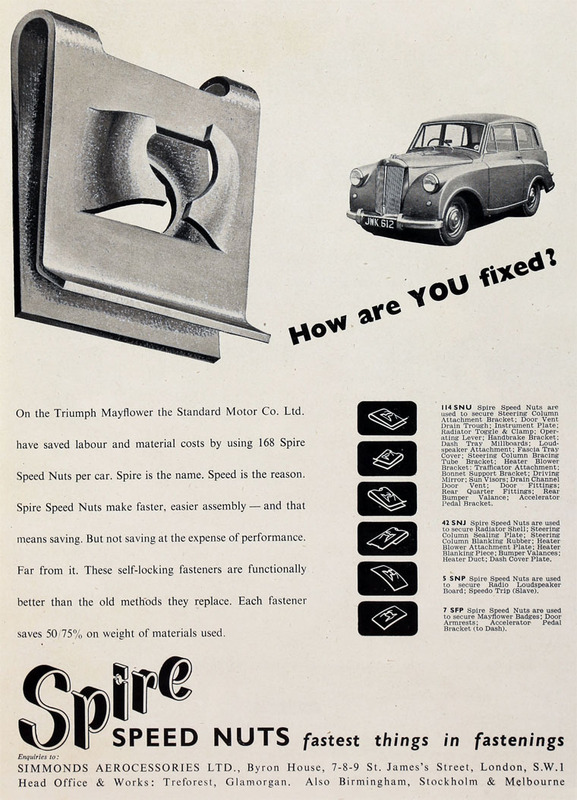 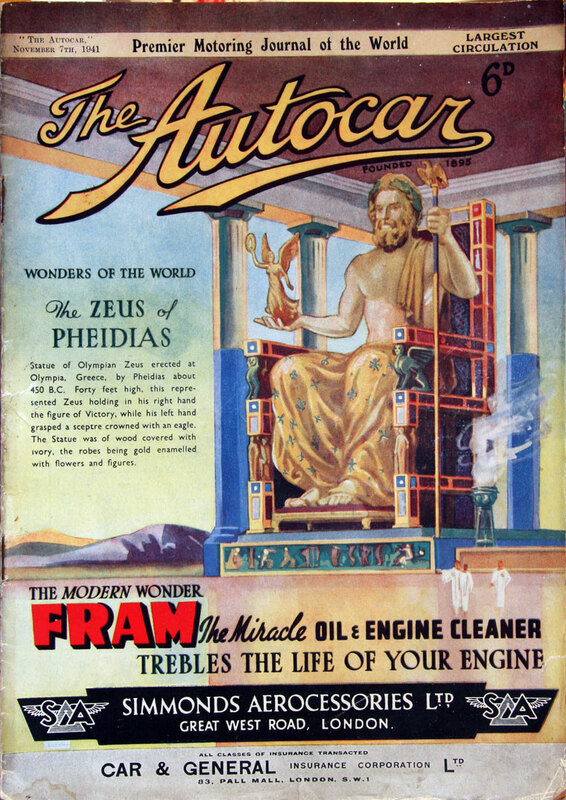 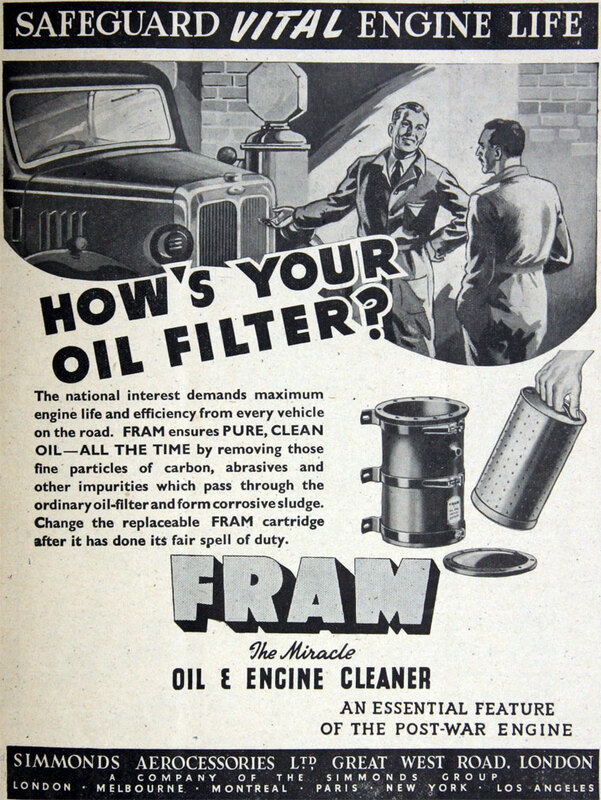 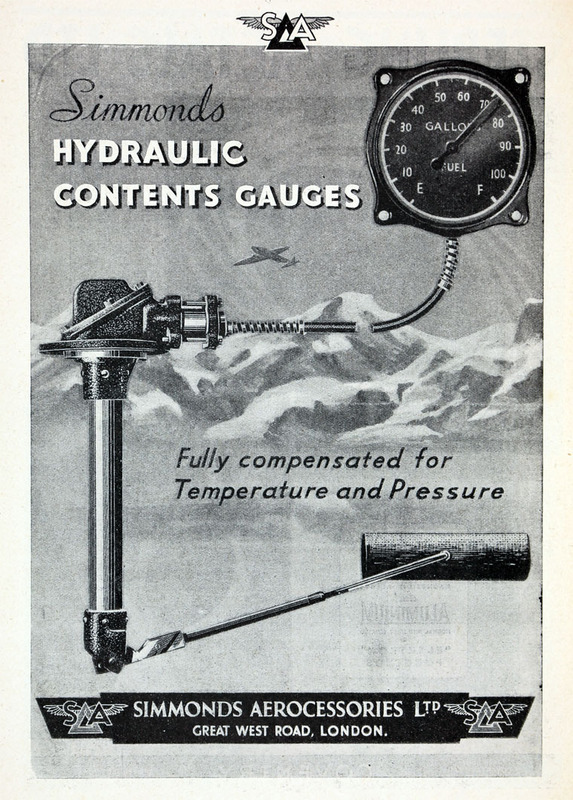 Advert (1954): FRAM filters, SPIRE speed nuts and fasteners, NYLOC fibre and PINNACLE self-locking nuts. 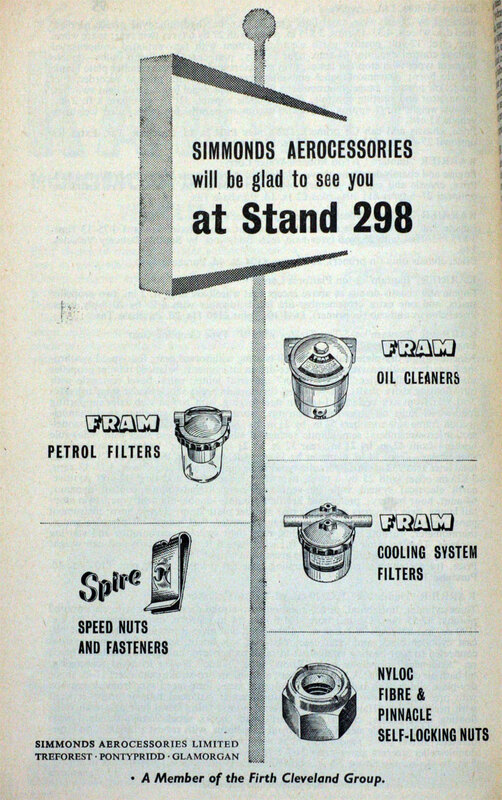 1957 Firth Cleveland Instruments formed as a wholly owned subsidiary of Simmonds Aerocessories to represent the growing range of instruments in the group. 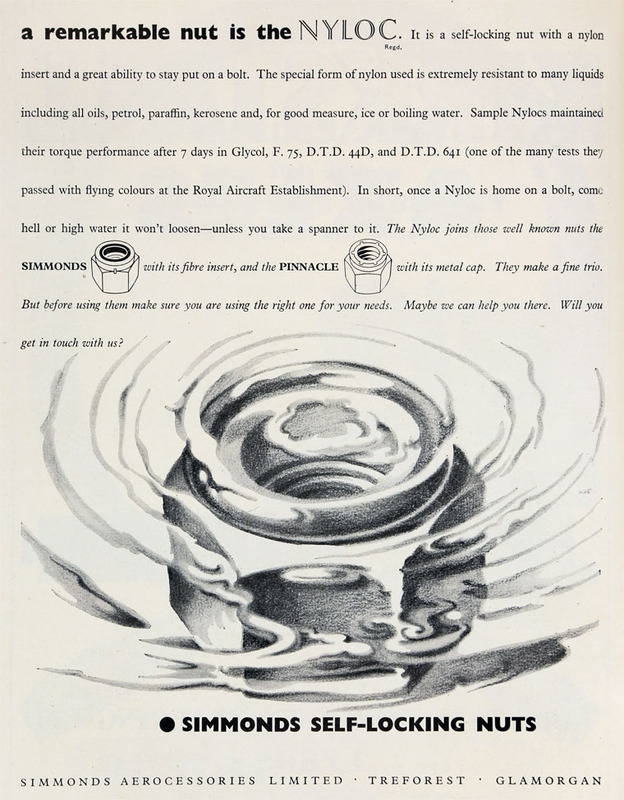 This page was last edited on 27 June 2017, at 06:23.